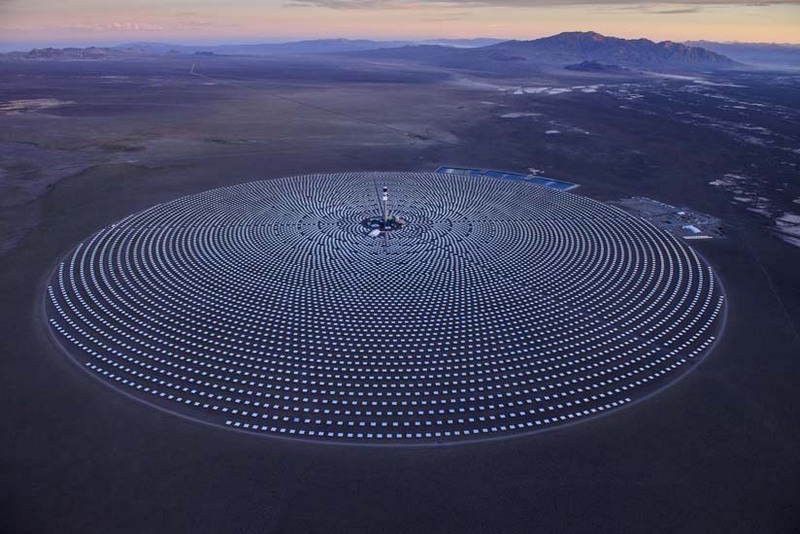 A report out from the Australian Renewable Energy Agency (ARENA) this month published responses from industry stakeholders on the viability of a concentrated solar thermal (CST) energy market in Australia: Paving the way for concentrated solar thermal in Australia. Only 5 gigawatts (GW) of CST is deployed globally so far, with remarkable cost reductions for a technology so “young.” Submissions noted that when today’s 300 GW of PV had only 5 GW of deployed capacity in 2004, its LCOE was ten times that of CST. CST’s dispatchable solar could play a pivotal role in Australia with its need for energy that can meet obligations for both emissions reductions and reliability, because with its ability to store its solar energy in molten salts for delivery later, CST can offer a stable and predictable supply of solar energy at any time of day or night. Responses came from the global industry, detailing how CST could be a commercially viable form of dispatchable renewable energy in Australia within a decade. The energy of the responses made it clear that any large scale competitive process to advance CST power generation in Australia would be well subscribed by a critical mass of startups and more experienced international companies, according to AUSTELA director Keith Lovegrove, who heads Solar Thermal at ITP Energised Group. Lovegrove analyzed the responses to put together the report on behalf of ARENA. He was impressed that technology-neutral major international engineering companies, experienced in all renewables, were so strongly supportive of CST’s potential. 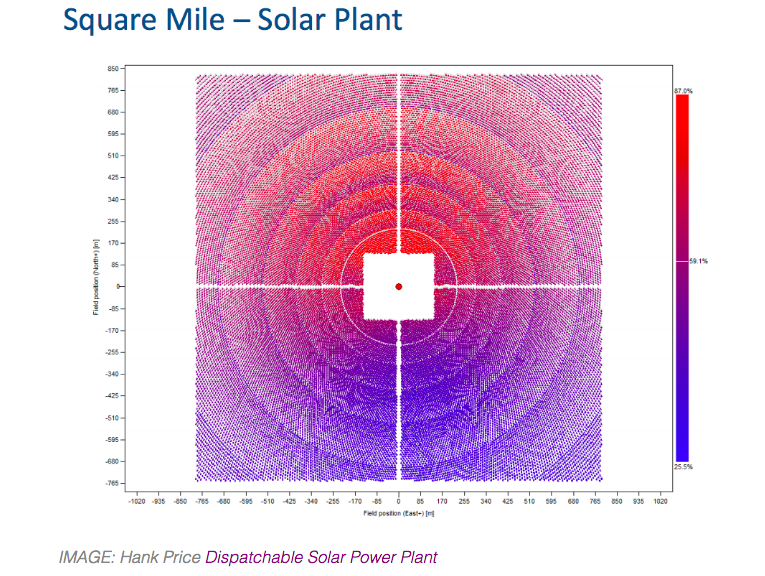 Australia has top notch direct normal irradiance (DNI) the solar resource used by CST, but development has been stymied by Australia’s renewable policy that does not factor in the extra value of solar energy that can be delivered on demand, day or night. Australia’s renewable energy certificate scheme requires electricity retailers to sell a certain number of annual gigawatt hours of renewable energy, increasing on a growing trajectory. But it disregards demand, which, while it varies regionally, typically peaks for five hours after 4 PM. South Africa’s Renewable Energy Independent Power Producers Program (REIPPPP) was much cited as a model to incentivize solar power generation at night. Spain was cited for its six-year pipeline that maximized growth of local supply chains. To create the certainty that cuts costs, respondents recommended offering a series of funding rounds rather than just one. To prevent incentive retractions when governments change, as the industry saw in Spain, any multiplier could be designed with an automatic step down mechanism based on megawatts of storage installed. Lovegrove pointed out that policy makers are not immune to popular press hype about batteries, leading to the idea that batteries will cover evening demand at low cost. Part of the misconception arises from depictions of battery “size” in megawatts, although electricity is delivered in megawatt hours. A 100 MW CST plant delivers 1,000 megawatt hours a day, in today’s fairly typical configuration of 10 hours of storage. (Hours of stored energy times capacity equals megawatt hours of stored energy). But even the largest grid-scale battery in the world, Tesla’s 100 MW battery in South Australia, is fully discharged in just 1.29 hours, so it delivers only 129 megawatt hours. At ITP, along with partners, Lovegrove is also running a study for ARENA comparing the options for dispatchable renewables: pumped hydro, CST, wind or PV plus battery storage. The very cost-effective storage in CST or pumped hydro are found be more cost-effective for the longer durations like evening peaks which tend to be 5 or 6 hours. While Tesla says their $100 million battery will have a several-year cycle life, CST plants can cycle molten salt daily for thirty or forty years. Because it already transforms sunlight into thermal energy to drive turbines to make electricity, storing its energy thermally is cost-effective. By 2020, new renewable energy generation will no longer be eligible for certificates under the present scheme, though existing systems will earn till 2030. In replacing this, there is an opportunity for climate policy that accounts for the value to the grid of CST storage. An idea to replace the certificate scheme after 2020 is proposed by the current Prime Minister. Major electricity retailers will still be obliged to meet emissions reduction obligations of 26% lower than 2005 by 2030, while also meeting a reliability obligation. With 100% solar energy that can be stored till evening, CST is well placed to meet these demands, but the devil will be in the details. Lovegrove expressed the hope that the related ITP report on dispatchable options helps policymakers better include the value brought by CST and others in designing this possible replacement. One certainty: With no policy, prices will rise. “There’s a dynamic between the renewable certificate market and the wholesale market because wind can bid zero or low when there’s a lot of wind, forcing wholesale prices down, driving coal power stations out of the market. So if you remove the certificates wholesale prices will actually creep up a bit,” Lovegrove affirmed. The trend towards intermittent renewables is global. An orderly transition that balances intermittent renewables with the dispatchable ones like CST is the best option for climate – and for consumer costs.